Product prices and availability are accurate as of 2019-04-06 11:33:12 EDT and are subject to change. Any price and availability information displayed on http://www.amazon.com/ at the time of purchase will apply to the purchase of this product. 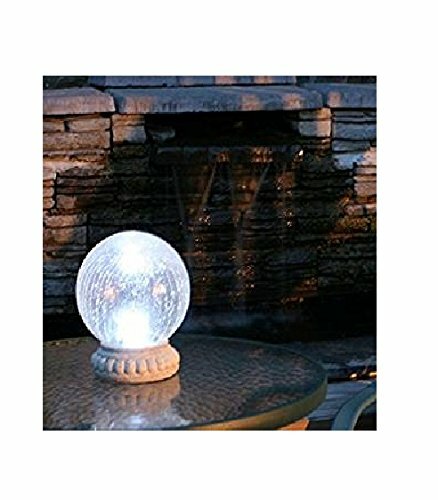 8" diameter real crackled glass gazing ball - ideal for decorating patios, walkways, garden and outdoor areas. Powered by an integrated solar panel eliminating the need for any external wires. Dual Mode Option: Can operate bright white mode powered by dual white LEDs OR Chameleon mode whereby the LED cycles continuously through the color spectrum. Automatically illuminates during darkness. 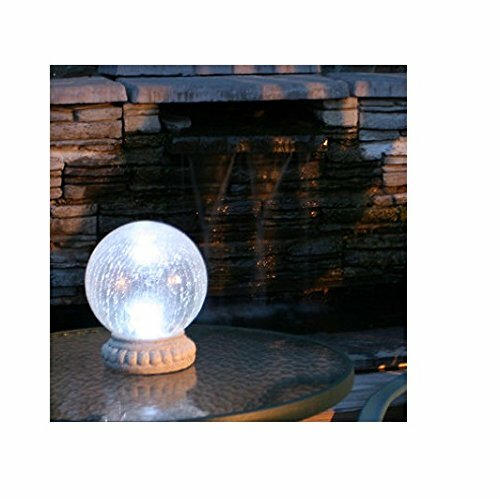 Up to 10 hours of light each night when fully charged. Replaceable rechargeable Ni-Mh batteries. Decorative relief pedestal accents any garden.